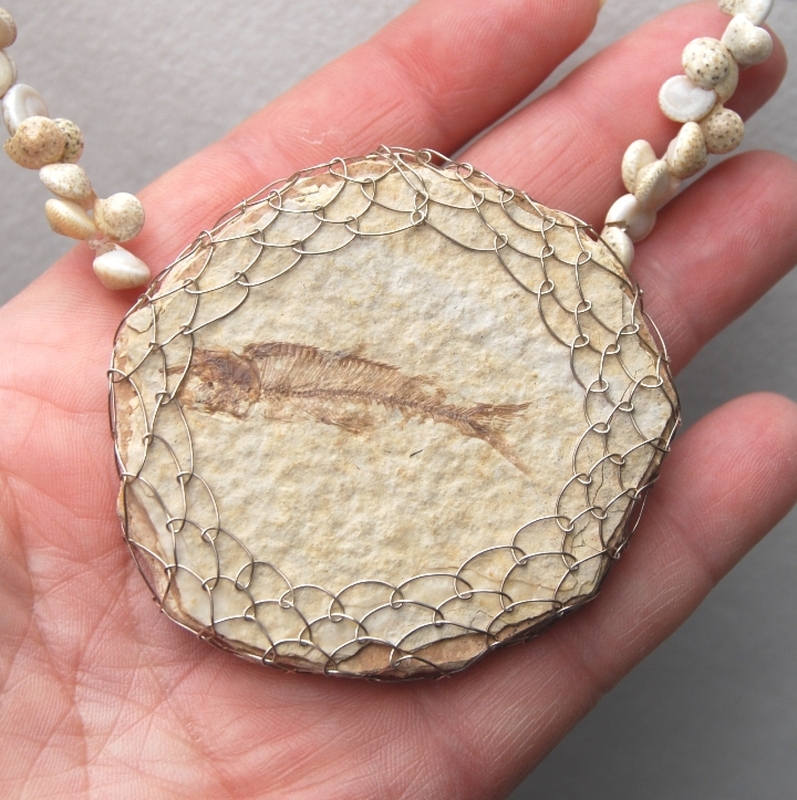 This beautifully preserved fossil fish (Knightia) is from the Eocene period, about 50 million years ago. Even though this American fossil has been extinct since then, I thought is appropriate to net him in sterling silver, a four-hour project. 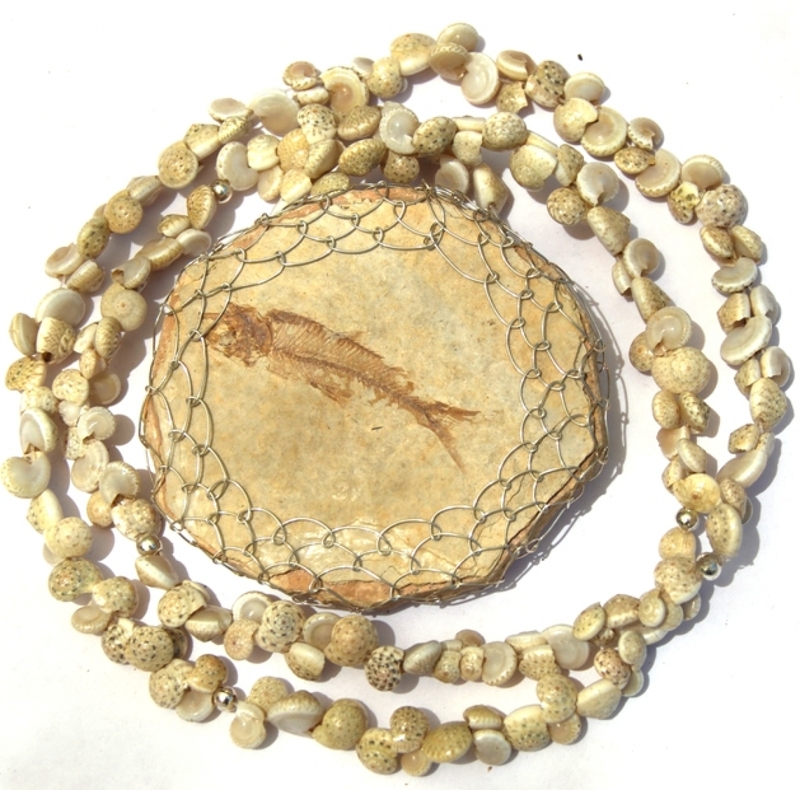 I recycled a shell lei from Hawaii that looks lovely for summer wear, but it can be removed and has a hidden bail for use with other necklaces you might have of the appropriate size. 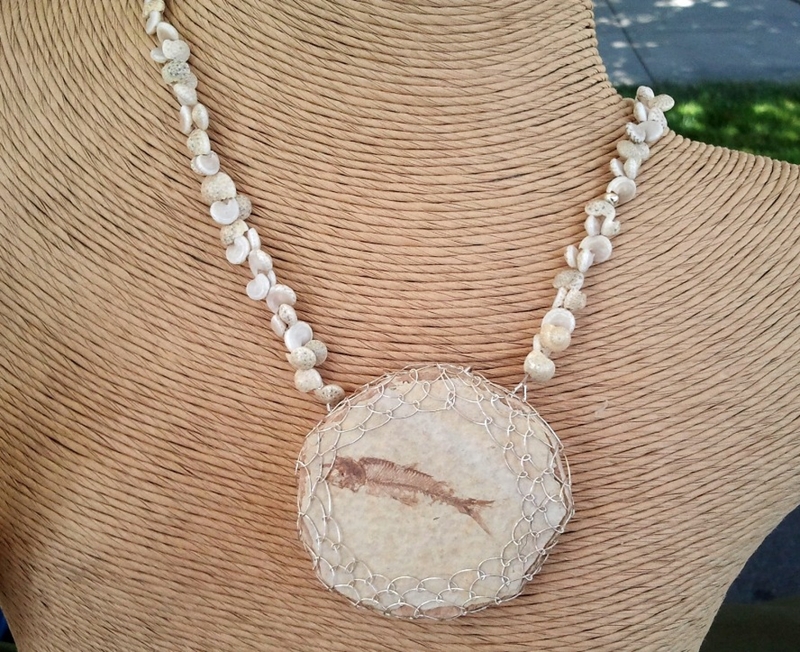 You will receive the exact pendant shown with the shell lei necklace.